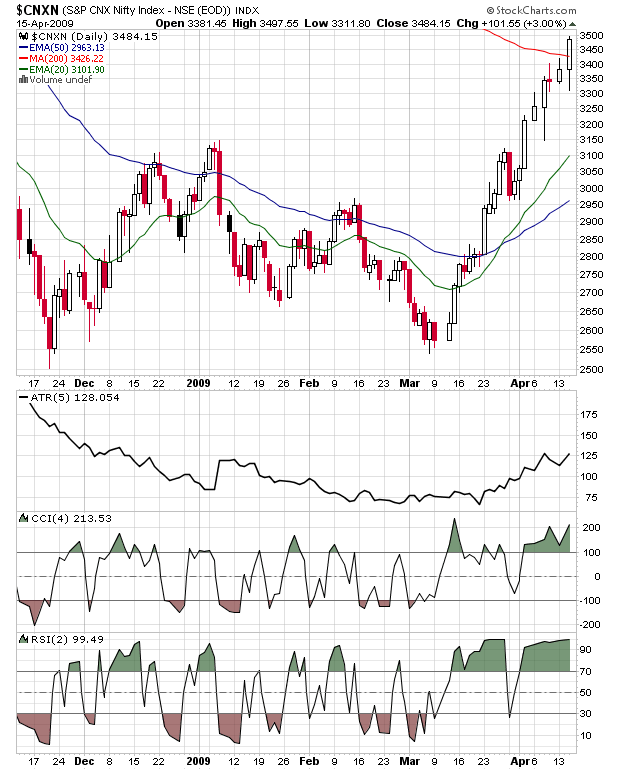 Finally Nifty broken all the pessimistic levels and trading above 200day Moving Average but with overbought levels. Increasing 5 day ATR suggest that market is filled with bigger volatile moves both the sides. nifty is time to gone down , time is very near means 10 sma trin very near to 1 ,one it go above 1 then sell confirm.